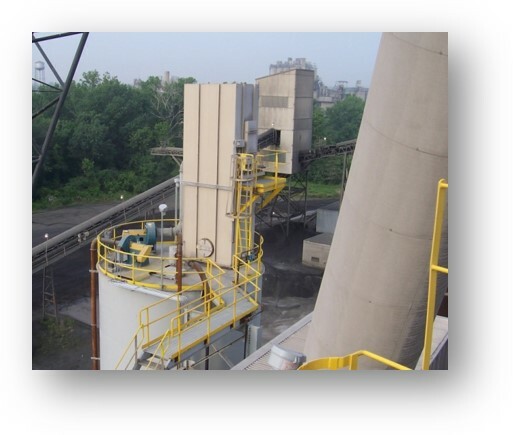 Vestal’s Industrial Process Group provided Integrated Design Project services. 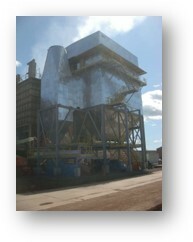 In conjunction with the addition of a new Raw Mill Baghouse design, the plant was converted from a 2-Fan system to a more reliable 3-Fan system and the incorporation of the owner designed Cone Valve Assembly to efficiently manage the preheater and roller mill exhaust gases before the gases are passed to the new baghouse, fan, and exhaust stack. The new baghouse fan was equipped with a VFD, and for maximum power efficiency, the existing Raw Mill ID Fan was modified and a new VFD installed. Extensive process ductwork changes, with diameters up to 12 feet were required, together with considerable structural steel modifications and upgrades to support of the new equipment. Vestal strategically phased the engineering, fabrication and installation to minimize downtime. Much of the erection work was performed prior to a plant shutdown, with the main process tie-ins being accomplished during the scheduled winter outage. Better managing the system exhaust gas flows and installing a more efficient system, the plant expects to realize an increase in clinker production.